The first thing you should know: Florida has ZERO elevation change while the Appalachians are NOT flat. Scratch that, back up: The first thing you should know is that this is my very first post on what may become a 20+ year journey. I will be section hiking the Appalachian Trail starting the end of May 2017 and plan to section hike (as time-off and money allows) the entire A.T. over time. 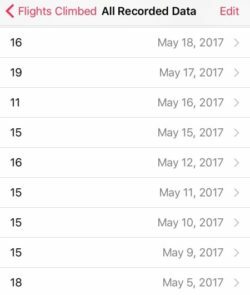 With my current vacation time schedule it’s looking like i’ll be over 50 when it happens – Time will tell. Back to elevation change: After doing some hiking on the Florida Scenic Trail, I realized that I needed to get a little experience with elevation change if i was ever planning to get on the A.T. with any idea of how my body would react. Now I’m not totally foreign to mountain terrain given that I was born in Wyoming, but it’s been a long time since I’ve had to deal with it in the physical sense. So, in October, I made a jaunt over to the Sipsey Wilderness in Alabama to get a taste of it on a 3-Day, 2-night 22+ mile loop with my hiking buddy Neal. I did some research and decided to snag some hiking poles for the trip and even convinced Neal to grab a pair. Wow – thank you internet, cause we found out that these poles were almost as beneficial as eating on the trail! Fast forward several months to January and I realized I needed some long term muscle tone to be able to cope with the elevation change on my first section hike. Solution? 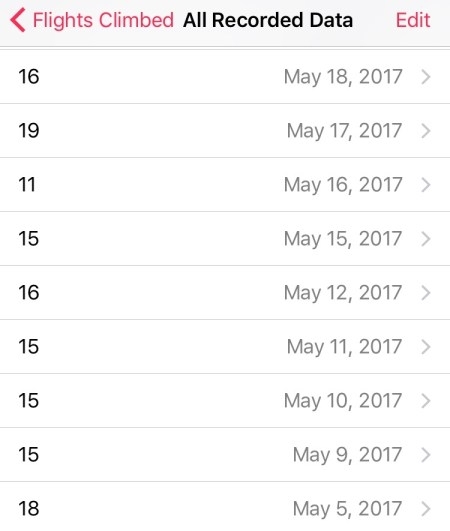 In January, I started with 9 floors of stairs per day and upgraded to 15+ floors per day in April. Guess we will see if that pays off once my boots hit Springer Mountain! My calves are the strongest they’ve been since i gave up skateboarding. I’ve done a few other things to prepare physically like stretching, putting the boots and pack on and taking them for a one or two mile walk around the neighborhood etc., but the stairs are the biggest change I’ve made in preparing for the A.T. versus prior hiking trips. 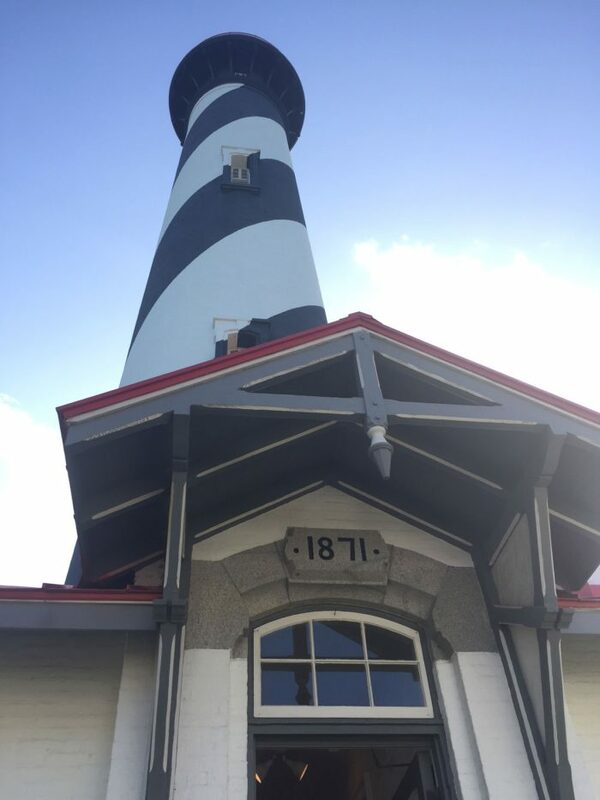 I even made a trip out to the St. Augustine Light house and made a couple trips up the stairs to the top and back. I wish i would have known sooner because they said i could bring my pack next time! If you’re in a flat area, get creative and go find somewhere to get ready for the elevation change of your next hike. What kind of physical prep did you do for your latest hiking or backpacking trip?